Like the cleanser, this also comes in a clear gel form and is stored in an easy to squeeze tube with a flip top cap. I don’t know why but this came in a box but my cleanser didn’t. I have to apologize because I forgot how much this cost me but I feel it costs 200-ish. 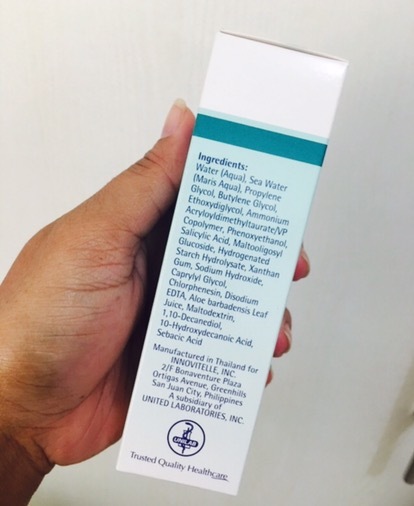 It contains Acnacidol BG which reduces oil secretion and prevents the growth of acne-causing bacteria. 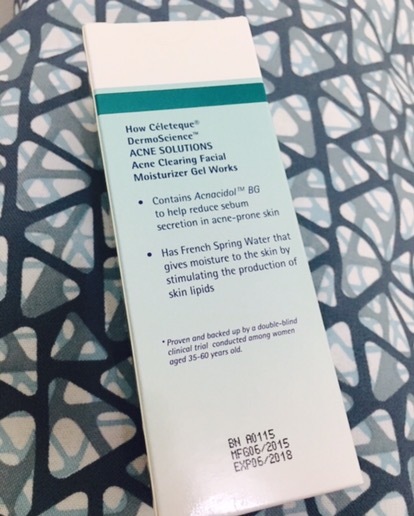 To aid in the moisturization of the face, it also contains french spring water. 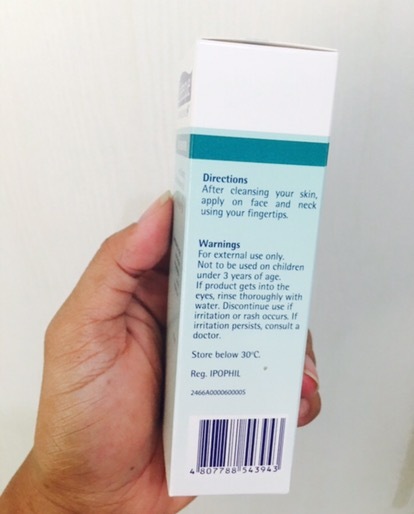 This moisturizer is also unscented and has a sticky formula. It spreads easily and definitely a little goes a long way! I am not a big fan of how it feels during application. It feels really sticky and slimy at the same time (if that makes sense). But you can always wash your hands after application. When washing your hands, you will notice that it will become a little slimy but any hand soap works. It dries off fast and leaves your skin tighter than ever. Be mindful of the amount of product you put because this can be to dryingfor your skin. My breakouts really freaked me out because I rarely get those when I was younger, even when I get my monthly visits. This moisturizer helped clear my skin. 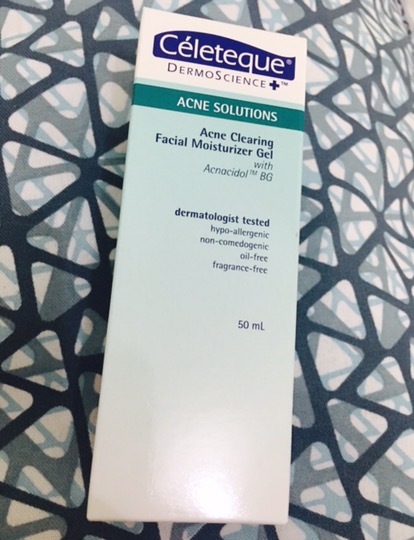 I noticed that I get rid of my stubborn pimples faster if I used the cleanser, this moisturizer and the Acne Spot Corrector Gel. Will post a separate review on the gel real soon. I’m still emptying it. 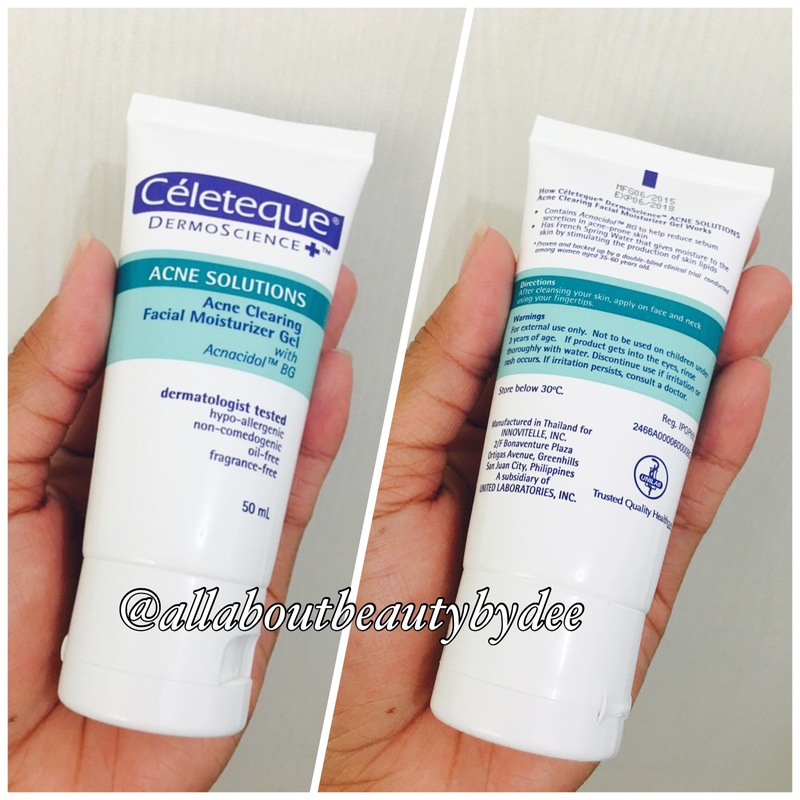 Previous Post Celeteque Acne Solutions – Is it really the solution to your pimple problems?